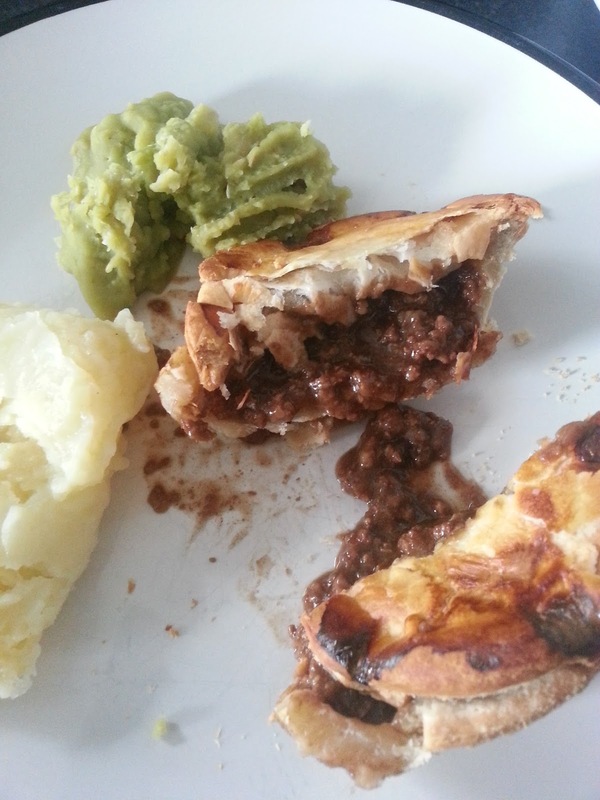 Pierate - Pie Reviews: Has ASDA served up an absolute classic? 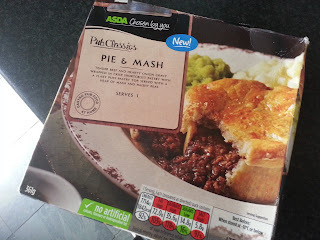 This is yet another frozen pie and mash review - this time an own brand 'ASDA Chosen By You Pub Classics Pie & Mash'. I picked this pie up from the frozen section of my local ASDA. This pie costs £1.50 - which may sound like a steal, but then you look the size of it: it's tiny. Had I been handed this pie in an actual pub, I would be in disbelief! For your money, you also get a small blob of green pea-y mush, and some bland mash. But let's not dwell on the accompaniments - this is a review about the pie. The pie does not look in very good condition. The bake is very uneven, with uneven glaze and what appears to be pretty bad boil-out on the lid. The colour ranges from very pale to very dark, covering the full range of the brown rainbow. Slicing open the review reveals a mediocre amount of pie filling that spills limply out onto my plate. The beef and onion filling is edible but doesn't make me smile. The puff pastry is unremarkable. Yes, this is a low-cost pie, but I wouldn't rate it very good value for money. It barely filled me up, and didn't look like the attractive 'oozing' pie that adorned the box. They must have found the world's smallest plate for that photo. To me, this was not a 'pub classic'. 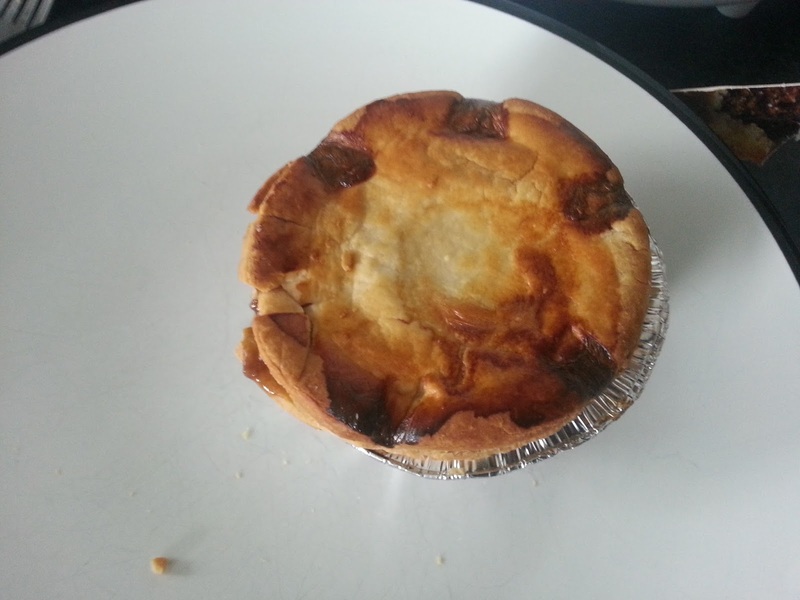 Disappointing, with few merits - this 'Chosen By You' pie won't be chosen by me in the future.